If you are looking to buy quality inexpensive plants, your best bet is the large collection of seed catalogs. Although starting your plants from seed can take longer, it is truly the most cost effective way to fill your garden with a variety of vegetation. Many gardeners enjoy using seeds for their gardens. 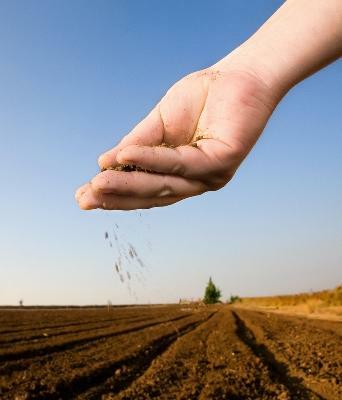 Seeds are often used in vegetable gardens, stocking potted planters, and for filling in bare spots in a lawn. Some plants are easy to start from seed, while others can be very difficult to nearly impossible. Gardeners with a greenhouse or other sunny indoor area can grow their own seedlings in large flats. This will give you an inexpensive jump on the growing season. Once you have decided your approach, the next step is to find the best places to buy them. For many rural gardeners, seed catalogs are often the easiest way to find a large assortment of quality seeds. While even most grocery stores offer seed packets in the late winter and springtime, if you are looking for specialty plants or heirloom vegetables, you will have to look in a seed catalog. While large cities typically offer a more expansive selection of seed packets, it is still simpler and more direct to order from a catalog. Especially in the wintertime while gardeners dream of the coming spring growth, the process of flipping through a seed catalog is sure to spark imaginations. Seed catalogs can be found both online and offline, with many companies offering both. Seed catalogs are sent directly to your home as a gentle reminder for preparing for spring plantings. Often the print and online catalogs also provide advice and expert opinions on which seeds to use in your yard and the best planting times. The following are some seed catalogs known for their consistently high quality seeds and helpful customer service. One well-known and reputable seed catalog is Burpee. A seed company launched in 1876, it has years of hard-earned experience behind it. It is a family-owned company with headquarters in Philadelphia. Even if you never buy their seeds, the website and seed catalog are worth a read. A wealth of advice, from seed starting to building raised beds, awaits you. No matter what type of plant seed you are looking for, they are an excellent place to start your search. A seed company that has earned a strong reputation for high quality seeds and customer service is the Territorial Seed Company. In their seed catalog geared towards the year-round gardener, they also offer purely organic seed options. As a company that has been around since 1979, they have built up a strong loyal customer base - mostly due to the consistency with which their seeds produce high quality plants. Park Seed is another historic company, known for its dependability. They offer a large variety of Internet-only specials, gardening information, and even an Ask the Expert style column. As a seed company that started in 1868, they sell a wide variety of unusual specimens and newly developed plant varieties in addition to their extensive normal seed selections. Johnny Seed is a company for both the commercial and home gardener. If you have a smaller farm or are a business gardener, this is the place to visit for wholesale seeds. Established in 1973, they pride themselves on superior research and technical information that benefits their seed selection for all users. Whether you chose one from this list or find your own seed catalog, remember buying seeds save you money. Therefore, even expensive seeds are a great value, and cheap seeds which don't germinate waste time even more than simply money. When shopping for your garden seed, look for a company with a strong reputation, high quality seeds, and superior plant species.